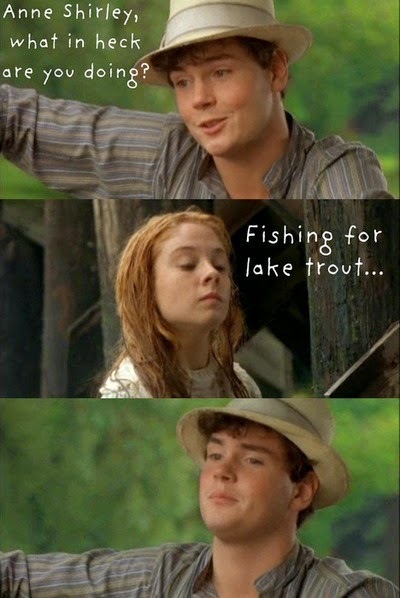 Anne of Green Gables is one of my favorite movies. I watched it all the time as a kid. It always put a smile on my face. When girls were flipping out over the pale, sparkling Edward Cullen, I'd be like, "No. Gilbert Blythe is the one I want." Yes, I watched all the Anne movies. I was glad when Anne and Gilbert finally got together. Of course I knew they would: I read all the books. But watching it unfold on screen was wonderful. I'm so glad Anne forgave him. I still watch the movies to this day. I hope one day my daughter will love them just as much as I do. Thank you, Jonathan, for bringing the character of Gilbert alive. You played him so well. You made my heart swoon. i want to watch it now...i loved anne of green gables! What a trip down memory lane. We were made to watch this in the library when it came out. Pretty sure PBS sent it out to schools. Read the first book by choice, second by gun point. But I do remember thinking he was cute so that made up for it. Very nice post. I love Gilbert too. Those movies are awesome. I heard this sad news this week. I couldn't believe it. I have read and watched all of the Anne of Green Gables books and movies. I did a big binge last summer with the movies with my daughter. I was so happy that she liked them too! Ahh.. so much better than Edward Cullen. So sad. I remember seeing the movies but it was ages ago. I never read the books. I seem to remember her getting drunk on strawberry wine, or something like that.